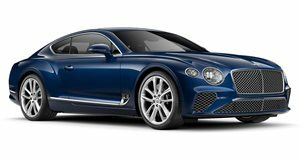 Looks like Bentley wants to cash in on the coupe SUV craze as early as next year. After BMW effectively pioneered the coupe SUV body style with the X6 ten years ago, automakers have been cashing in on the craze ever since. Audi recently , and now it looks like another Volkswagen-owned automaker wants to join the coupe SUV bandwagon. According to a report by German magazine Auto Bild, Bentley is planning to expand the Bentayga lineup with a new model tentatively called the Bentayga Sport. Due to arrive next year, the new model is expected to get a coupe-like sloping roofline in-line with the BMW X6, Audi Q8 and Mercedes GLE Coupe. Of course, it goes without saying this means the Bentayga Sport lose some of the regular SUV’s practicality. Inevitably, there will be less headroom for rear passengers and less cargo capacity, but this probably won’t deter buyers willing to pay extra for a more stylish version of the Bentayga. According to the report, the Bentayga Sport will also receive some styling changes previewing what we can expect from the upcoming mid-cycle facelift of the standard model. This isn’t the only new model that could soon be joining the Bentayga family either. Just last week Bentley design chief Stefan Sielaff confirmed the automaker is currently working on a , which will presumably feature an even more powerful version of Bentley’s 6.0-liter twin-turbo W12 that delivers 600-hp in the Bentayga. Intriguingly, he teased we can expect a “big change” in the Bentayga Speed’s design. It’s possible, then, that both reports are referring to the same model. The Bentayga Speed could adopt a coupe-style design to complement its more potent performance, but we’ll have to wait and see.